Looking for a wine to sip on tonight I happened upon a Spanish white that I first tasted at a very special event last fall. Held at Beniot in NYC it was a vertical tasting of Campo Eliseo, a winery located in a remote, relatively over looked DO in North West Spain, nestled in the heart of Castilla y Leon. For many years Toro was known for very concentrated, high alcohol, tannic monsters that could withstand a bit of time, they needed age to mellow the tannins. Legend suggests Columbus may have taken Toro wines on a few of his epic voyages, evidence even points to ancient Romans making wine here. Even with all this rich history the nearby Ribera del Duero (whose wines where a bit more approachable), grabbed all the attention. It seemed Toro was a region of gutsy wines without glory, but, some thought there was great promise. 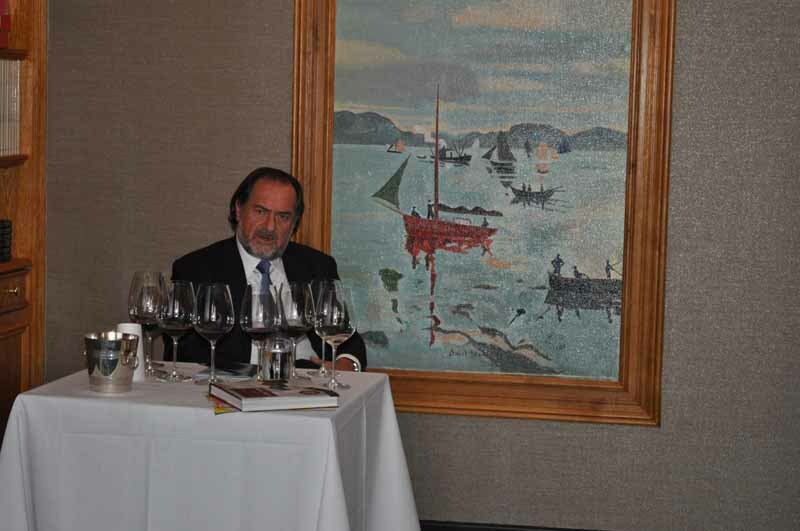 This included two of the most well know names in wine, Michel Rolland and Francios Lurton. 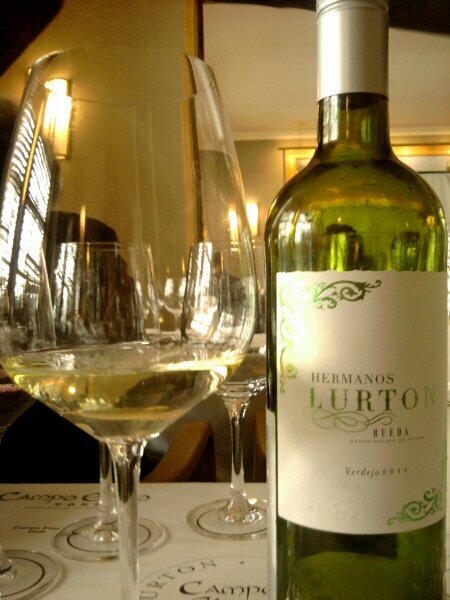 Lurton, part of a renowned Bordeaux wine family has estates in France, Chile, Argentina and Spain. Over twenty years ago he established himself in Rueda by creating a tasty, affordable white wine at a time when Spain was better known for its red wines. This deliciously quaffable white was the welcome wine served at Benoit. In 2000, a chance meeting with Rolland sparked an idea. 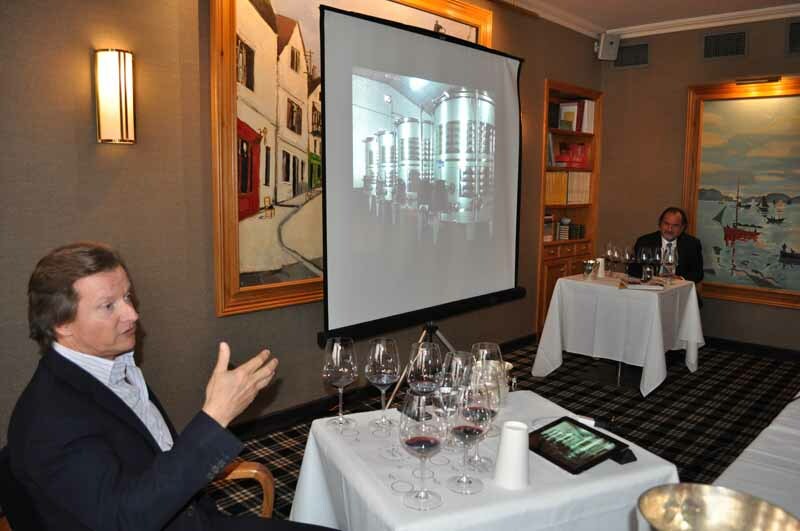 Many have compared the wine style of Rolland (a flying wine consultant with over 100 different clients) to the wines produced by Lurton. Along with Michel’s wife Dany (also a highly accomplished eonologist) they decided to join forces to create Campo Eliseo DO Toro, a rich, smooth red produced from Tinta De Toro, a variation of Spain’s famous Tempranillo. Our group tasted through a flight of Campo Eliseo from 2003 to the 2009 that was awarded 90 points by Wine Enthusiast. The 2006 was my favorite with aromas and flavors of vanilla, blackberry and deep dark chocolate. Retailing for around $100 it’s not exactly an impulse buy, but, for lovers of rich, full-bodied wines it may just be that special bottle to enjoy with flavorful, grilled meats or to cellar for a few years or more! After our flight we were treated to a delicious buffet of meats, cheeses and other delicacies prepared by Benoit’s chefs to pair with the wines of the day. I have to note I was honored to meet Michel Rolland, a highly controversal figure in the world of wine. 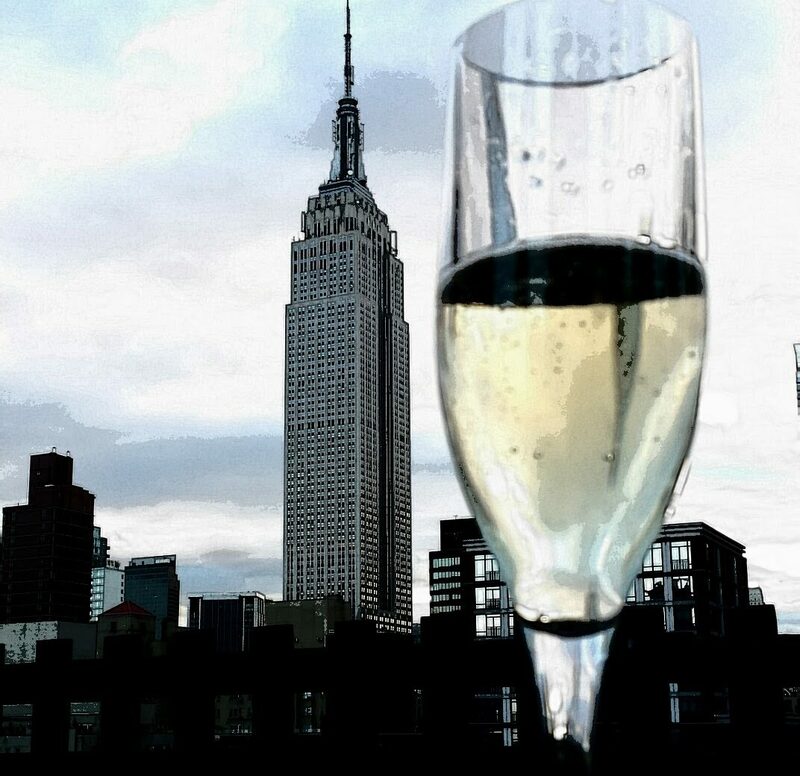 His devilish smile, charismatic charm and quick wit made this one of my more memorable NYC tasting experiences.